One of the very best views of Cambridge and definitely not in any visitors' guidebook. 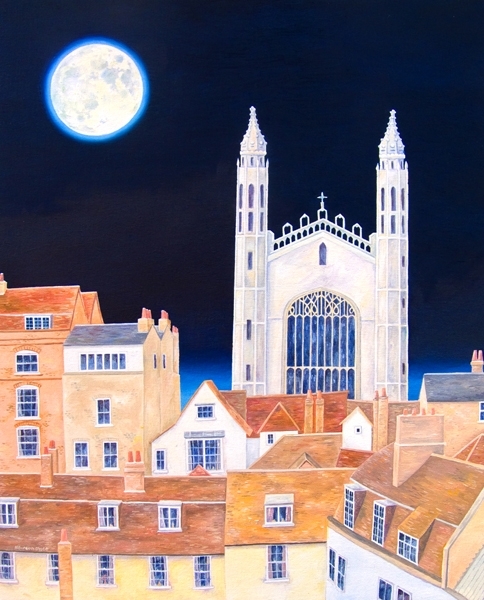 This painting is the view from the Guildhall showing the rooftops of student accommodation and shops with part of King's College Chapel towering above them. David's the brilliant second hand bookshop and St Edward's Church are just out of sight.